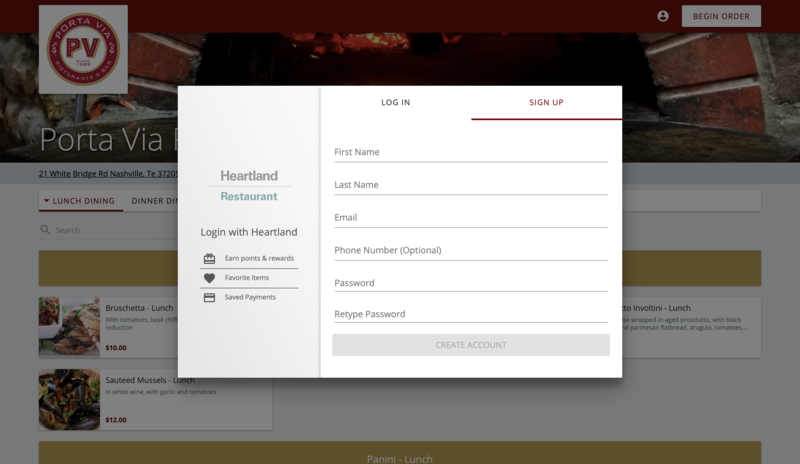 Our all-new, secure online ordering platform provides a beautiful, easy-to-use interface for placing your carry out orders. Once you sign up, you can earn valuable points and rewards, save items as favorites, view your order history, and check out quickly by accessing your saved payment methods. Click the button on the right to open our ordering platform in a new tab or window. Click the My Account icon at the top right of the page and select Sign Up. Or simply place your order and you’ll be prompted to sign up prior to check out.